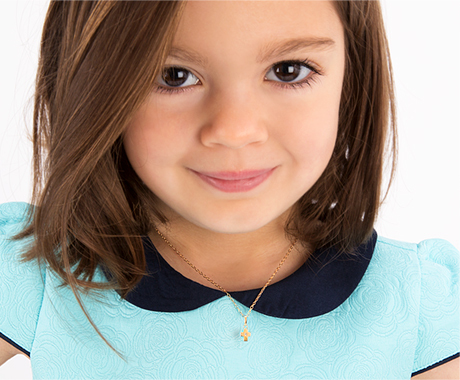 Classic and perfectly petite, this cross is absolutely handsome. It is very little (teeny tiny actually!) and is a meaningful symbol of his everlasting faith.